Thanks for your ideas and suggestions. Steve and I have been working on a range of layouts which we're nearly ready to publish. 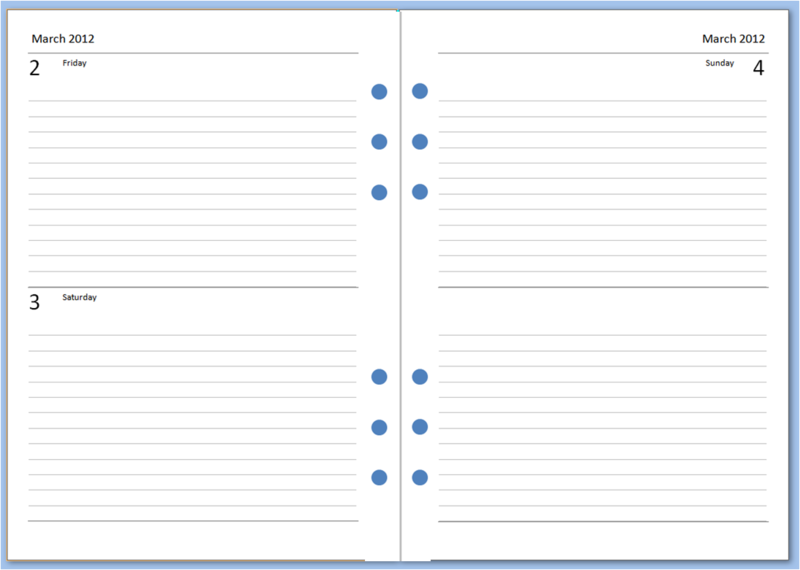 Initially, there will be four layouts available. The first one is a week per view layout we're calling the 'Enhanced TM Week Per View'. Among its features are a number of things people have been asking for, like equal space for the weekend days and a 'Coming Up' section of items to carry forward to subsequent weeks. Next we have our 'Vertical Week Per View'. This one again affords Saturdays and Sundays the same space as weekdays and includes a field for weekly review notes as well as 'Coming Up'. 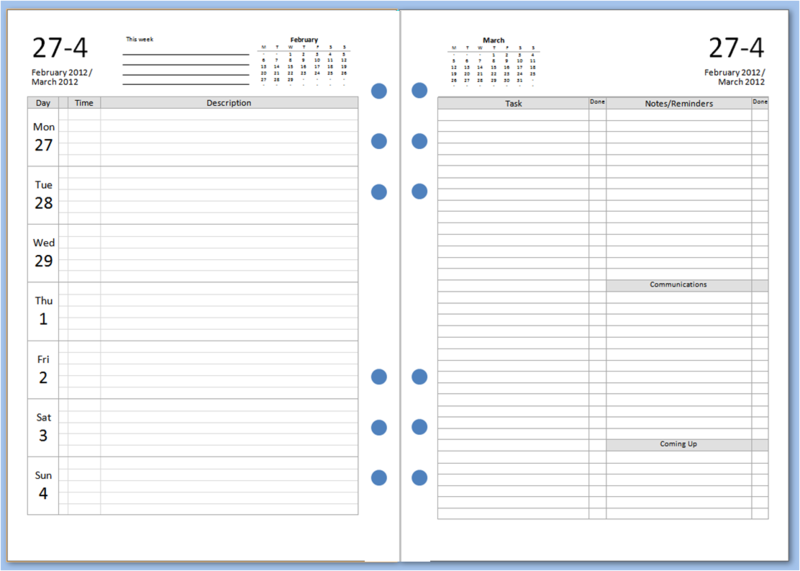 You might use this to collect information and insights for your Monthly Planner. 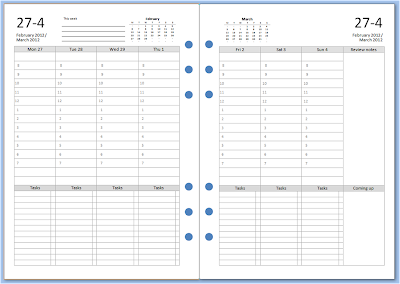 Finally, we have a Two Days Per Page layout with both lined and unlined day spaces. 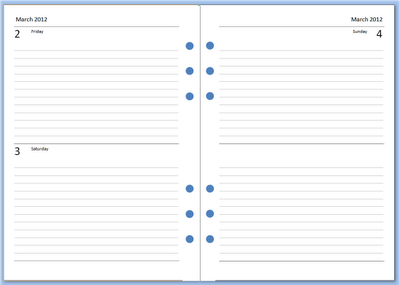 In these layouts, a week crosses four pages. We've given all seven days equal billing and left an untitled eighth day space - for 'coming up' notes or tasks or anything else you might want to note on a weekly basis. 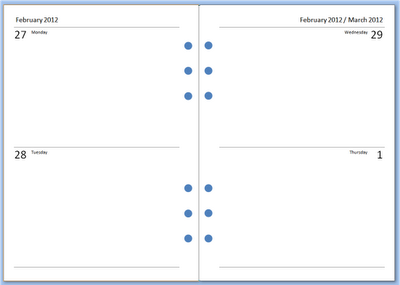 Filofax do not currently make a 2PPD A5 diary. I'll look to do some tutorials if there is demand. 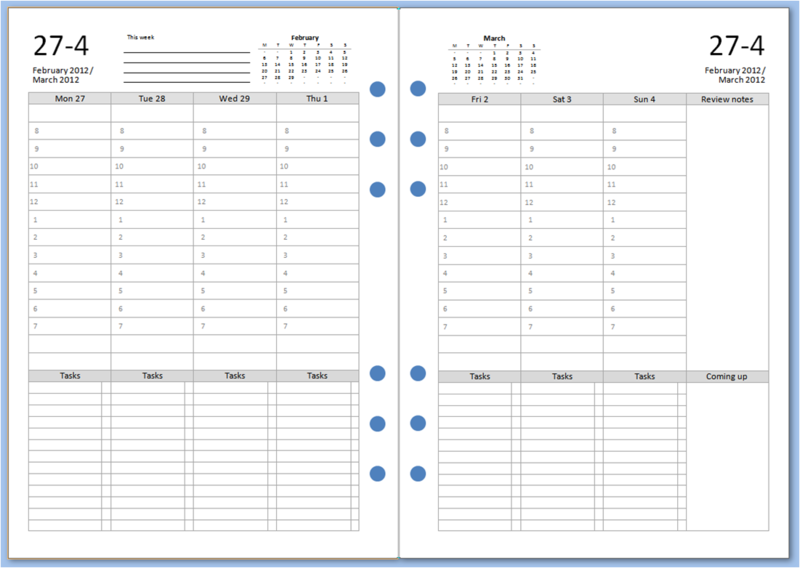 Sets for 2012 should be available in the coming week. 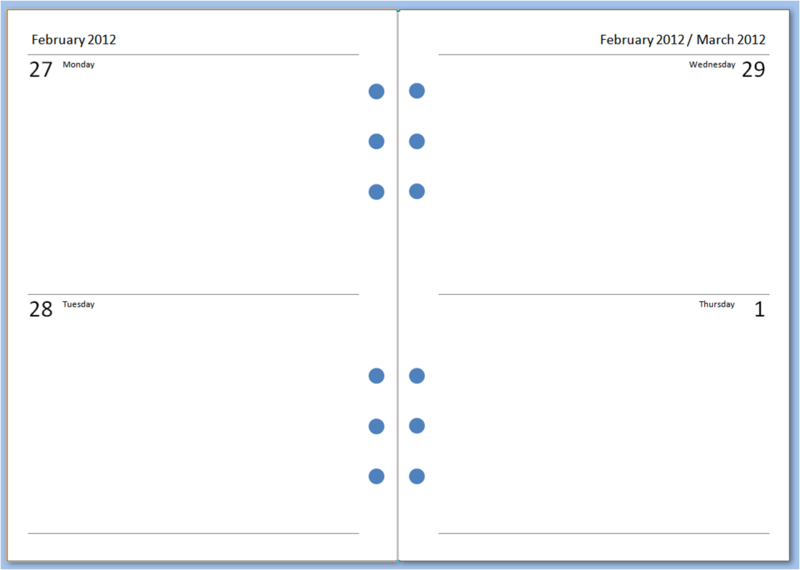 We're also hoping to make undated versions of the templates available around then. WOW thank you so much. Although I don't think I will be using these I will be telling all my friends. 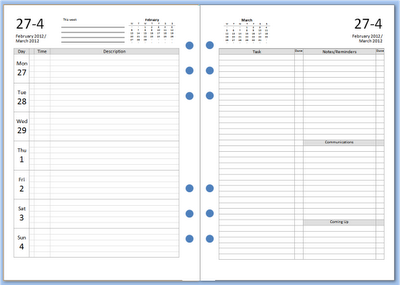 Thank you so much for offering such a great choice that Filofax have currently not offered! These look great! Can't wait to see what you do for personal size. Might actually start printing for myself again!